The PIC18F8620 features a 'C' compiler friendly development environment, 1024 bytes of EEPROM, Self-programming, an ICD, 5 capture/compare/PWM functions, 16 channels of 10-bit Analog-to-Digital (A/D) converter, an additional timer, External Memory Addressing, 2 Comparators, the synchronous serial port can be configured as either 3-wire Serial Peripheral Interface (SPI™) or the 2-wire Inter-Integrated Circuit (I²C™) bus and 2 Addressable Universal Asynchronous Receiver Transmitter (AUSART). All of these features make it ideal for manufacturing equipment, instrumentation and monitoring, data acquisition, power conditioning, environmental monitoring, telecom and consumer audio/video applications. Fast programming, increased functionality, at the same price as its predecessor. The PICkit 3 is not recommended for new designs. For new designs, please see the MPLAB PICKit 4. 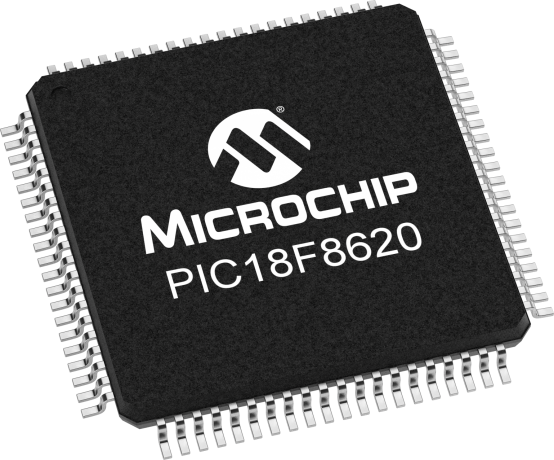 MPLAB REAL ICE In-Circuit Emulator System is Microchip’s next generation high speed emulator for Microchip Flash DSC® and MCU devices. It debugs and programs PIC® and dsPIC® Flash microcontrollers with the easy-to-use but powerful graphical user interface of the MPLAB Integrated Development Environment (IDE), included with each kit. The MPLAB® PM3 Universal Device Programmer is easy to use and operates with a PC or as a stand-alone unit, and programs Microchip's entire line of PIC® devices as well as the latest dsPIC® DSC devices. When used standalone, data can be loaded and saved with the SD/MMC card (not included).